Getting There – we are located on Contadora Island, but service Saboga and all outlying islands for tours. 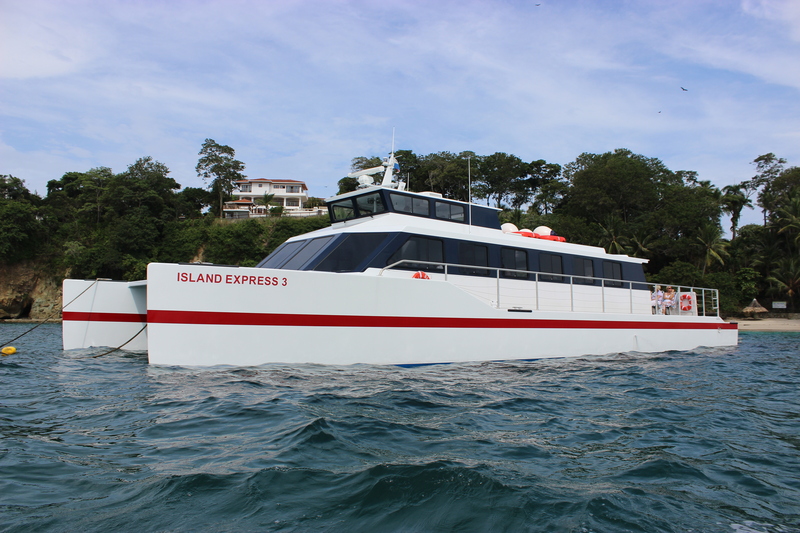 Two ferry companies transport passengers to the island – one trip out in the morning, one trip back in afternoon. Note: Be sure to bring your passport for checking in with Air Panama or with either ferry company. 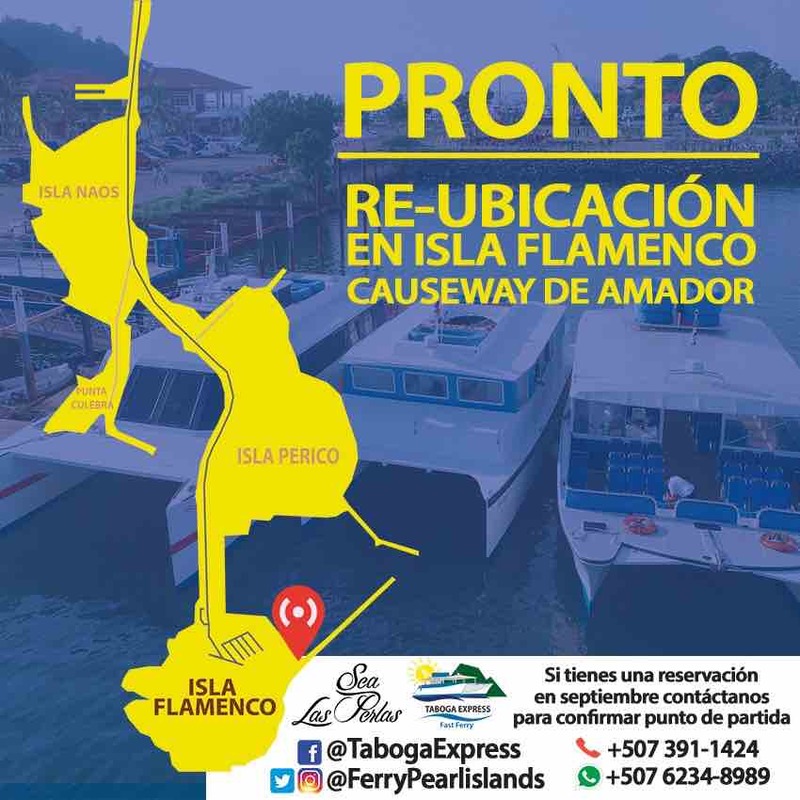 NOTICE: Sea Las Perlas informs that the offices and boats will be moving to the Flamenco Island on Thursday, September 6, 2018.on Amador Causeway. Save $15.00 off adult Sea Las Ferry fare by reserving a tour on our reservation page! 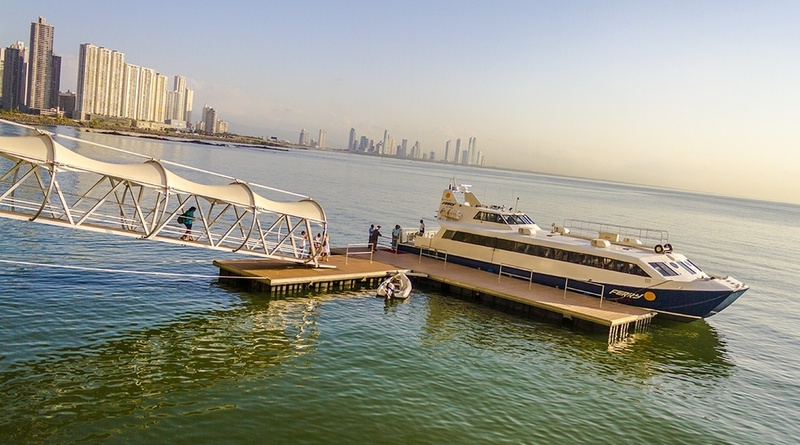 Note: All-inclusive Inter-Island Las Perlas Day Tours do not include ferry transportation from Panama City. 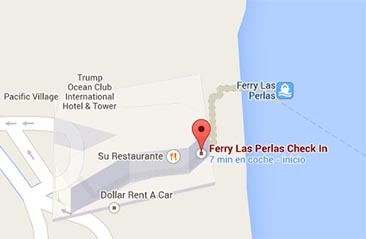 By Ferry Las Perlas Ferry from the Trump Ocean Club International Hotel in downtown Panama City. Notice: Ferry service is currently discontinued! 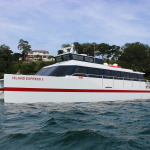 Please check ferry website for update on future service. We will meet you at the beach to begin your tour. 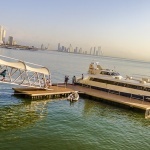 Terms: A reservation won’t be confirmed or guaranteed by Pearl Island Day Tours until a deposit of at least 50% is received or confirmed, and the rest received 15 days prior to the tour date.